Samsung really wants its flagship phone to stand out. Given the industry’s constraints, it can’t do that with internal hardware, but what it can do is innovate on design. To its credit, Samsung has been at it for three years now and it this is the closest it has come to perfection. You know what they say though? Perfection doesn’t exist. So, despite the Samsung Galaxy S8’s impressive design, there are gaping holes too. SEO and trends dictate that we review the Samsung Galaxy S8 and Galaxy S8+ separately, but frankly speaking, they’re the same smartphones. The differences are minor, so for this review, I’ll simply point out the stuff that differs. You can read the rest in the Galaxy S8+ review. Smaller, lighter, but just as curved and slippery as the Galaxy S8+. That’s the best way to describe the Galaxy S8. We had the midnight black variant of this one too, and yes, it does have a certain affinity to fingerprints. To be absolutely frank, I personally don’t mind this, because it still feels excellent to hold and as premium as it gets. That said, I can’t get over the fact that there’s a lot to break on this phone. Gorilla Glass 5 is tough, but it’s still glass that can be broken. Considering you have glass on both sides, using a case is warranted. That, though means you’ll lose the excellent design language and ergonomics. Speaking of ergonomics, I recommend you risk it and take advantage of them. 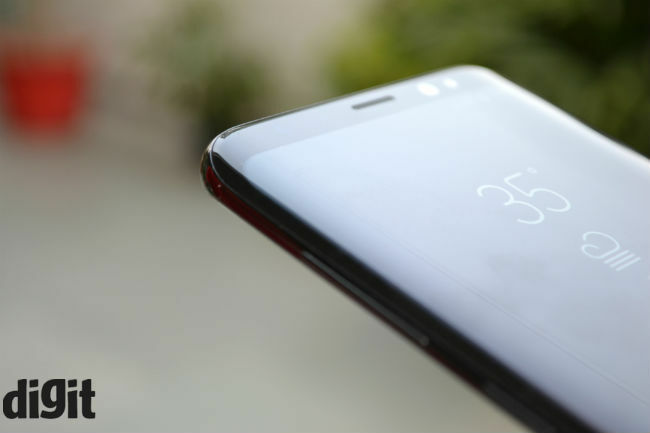 The Galaxy S8’s back is slippery, but it’s tall and narrow body provides excellent grip. Not once did I feel like the phone would slip out of my hands, even when I woke up all sleepy eyed in the morning and turned off my alarms. I said in the Galaxy S8+ review that button placement was awkward on that phone, and it’s exactly the opposite here. Depending on which hand you’re holding it in, the power on/off button falls right below your thumb/index finger. The volume rocker and Bixby button are also easy to reach without shifting your grip. 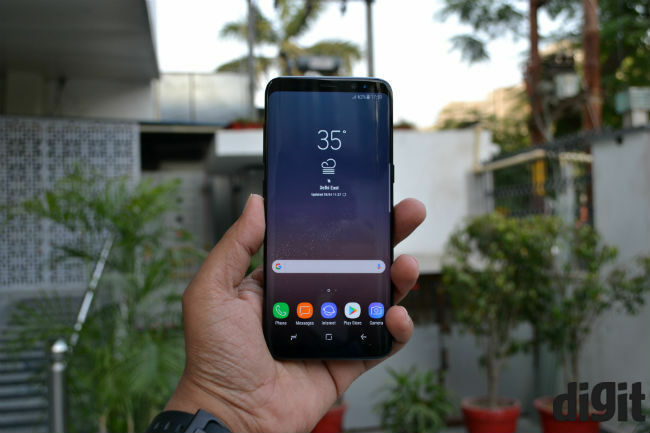 The on-screen home, back and recents button work as they should and the phone is narrower than the Galaxy S8, meaning your finger reaches across the screen without a hassle. Apps like Asphalt 8 will use the full 18.5:9 aspect ratio, so you’ll be using the pressure sensitive home button more often. 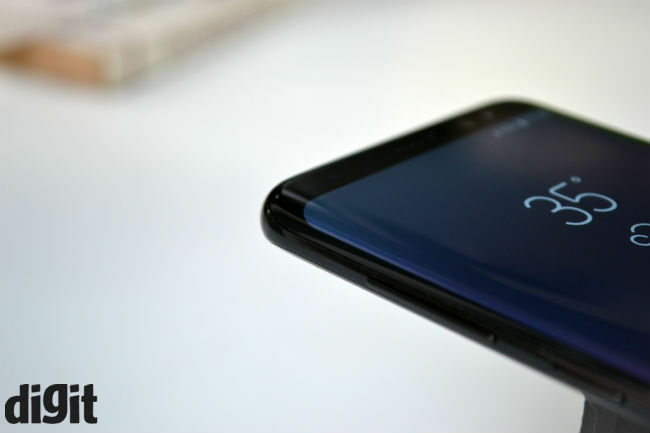 To explain: the Galaxy S8 has a pressure sensitive home button right below the on-screen version appears. You can press down here at any time to return home. You’ll find the fingerprint sensor on the back, next to the camera. It’s a new but awkward place to put it on and I do wish Samsung had at least used an indented or raised design here, but this still works on the Galaxy S8, due to its smaller size. It took about a day to get used to, but it’s fast once you’re done. The Iris Scanner and Face Unlock features also worked on the Galaxy S8. Although, like the bigger phone, they aren’t really dependable here either. You can’t keep both of these features turned on at the same time, and I do recommend using the Iris Scanner over the face unlock. It’s a better solution for low light conditions and faster. Once again though, neither of these are as dependable or seamless as the fingerprint scanner. I could go on about the design of this smartphone, but everything else you need to know will be found in the Galaxy S8+ review linked above. It’s hard to believe that this is a 5.8 inch display panel. Univisium aspect ratio makes it taller, but watching content on the Galaxy S8 is much simpler than its elder brother. You still get pillarboxing effects, but only on the two sides and none on the Edge panels. Colour reproduction, saturation and touch sensitivity and feel remain just as good, underscored by excellent black levels and contrast ratio. It achieves nearly luminance readings of nearly 800 Lux, making it one of the brightest displays out there. You make a slight compromise with the battery on this device and frankly speaking, a 3000 mAh battery is small by today’s standards. In the Galaxy S8’s case, size does matter and the battery lasts about two-three hours less than the bigger variant. On the PC Mark test, the Galaxy S8 lasted 8 hours 57 minutes on the PC Mark Work 2.0 Battery test. On regular usage, the phone gets you by about 10 hours during the day. I got the same with some camera usage, about 10 phones calls and just over an hour of gaming. Brightness was set on auto throughout the day, and I spent about two hours in the sun, pushing screen brightness to above medium levels. 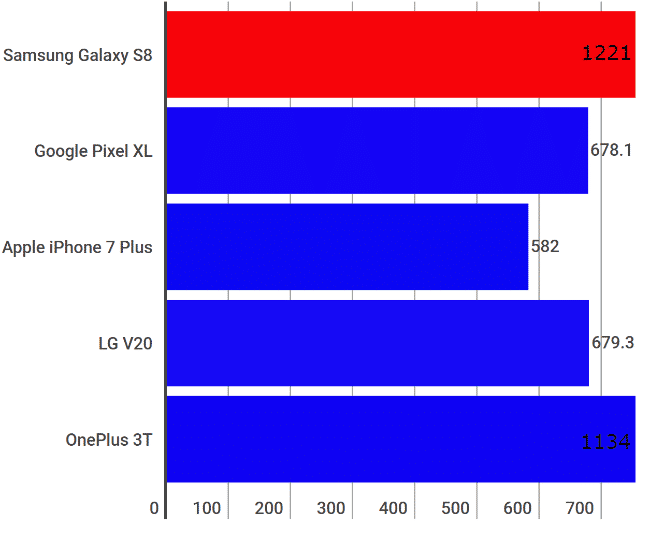 It’s the industry standard when it comes to flagships today, but really, it’s about time companies focus on this aspect too. 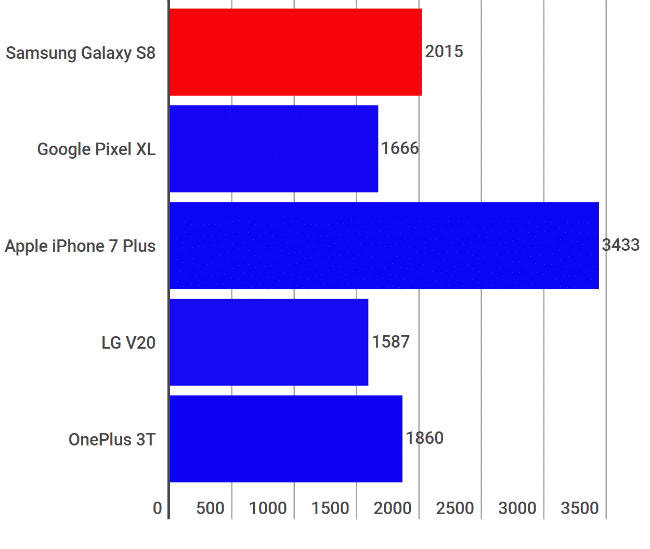 Samsung’s competitors, including Apple, may not be doing much either but for a company looking to have its phone stand out, a bigger battery would have been a better idea. All of these are mostly the same on the Galaxy S8 and S8+. So, you can simply head over to that review to learn about them. The Samsung Galaxy S8 is noticeably smaller than the S8+, but its screen size differs by only 0.2 inches. 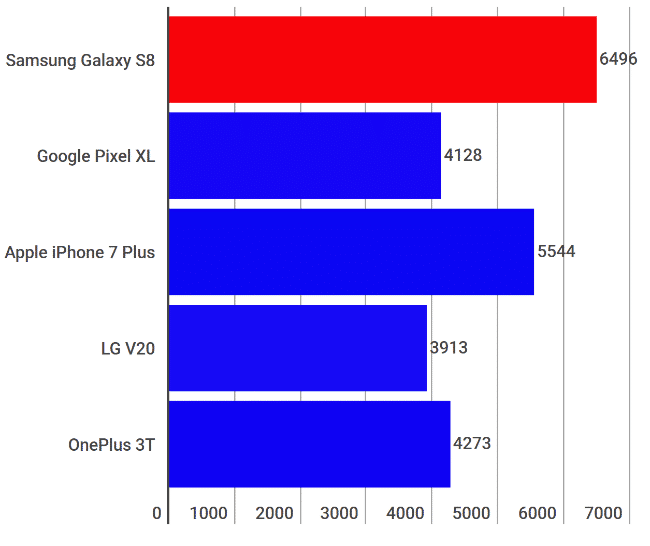 Hence, graphics performance and other performance elements are the same too. As always, Samsung also chose the Exynos 8895 SoC for this one instead of the Snapdragon 835. If I had to pick between the two Samsung flagships this year, I would definitely go with the Galaxy S8. That’s because I’m a stickler for compact devices. 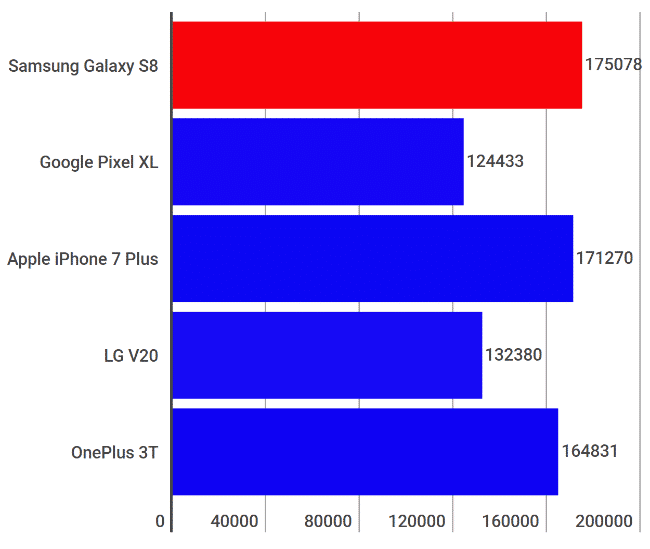 However, its 5.8 inch display allows enough screen real estate for big phones lovers too. 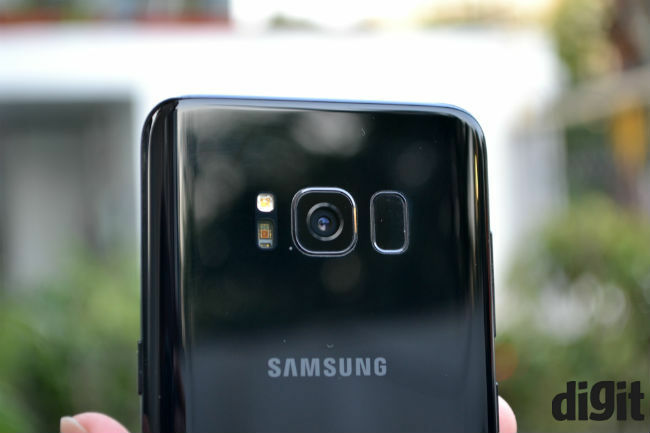 The Galaxy S8, like its cousin, is an incremental update in terms of performance and camera. However, unless Apple, LG, HTC or anyone else can come up with a better design, this is the best looking smartphone this year. I recommend this to anyone looking for a phone you can show off, but I do have to warn you too. Just like last year, the Galaxy S8 is also prone to slowing down because it runs on Android.